Three business leaders exemplifying ‘businessworthy’ values and shaping society for the better have been named 2019 Oslo Business for Peace Award winners. This year’s laureates are Agbor Ashumanyi Ako, the Co-founder of GiftedMom; Alice Laugher, the CEO of Committed to Good (CTG); and Hamdi Ulukaya, the Founder and CEO of Chobani. Heading companies that have a broader view than just the bottom line, these individuals see business as a driver for change, taking action to improve the world around them. In recognising their achievements, the Oslo Business for Peace Award, commonly known as the “Nobel Prize of business”, honours exemplary leaders who promote peace and stability for the greater good of society through their everyday business activities. The three award winners were selected by a dedicated committee comprising Nobel Laureates in peace and economics following a global, bottom-up nomination process led by ICC and other Business for Peace partners, including Principles for Responsible Investment, the United Nations Development Program and the United Nations Global Compact. Agbor Ashumanyi Ako is one of the Co-founders of GiftedMom, a digital health platform based in Cameroon that gives pregnant women and mothers across Africa access to vital health information and care. As a digital-first platform, GiftedMom is able to expand faster than traditional health care systems and the start-up aims to reach 10 million women in the next 10 years. 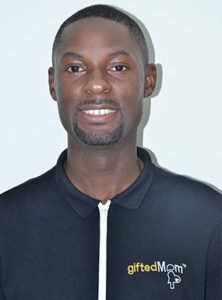 Started by Alain Nteff and Doctor Tankou Conrad in 2012, the platform now has over 170,000 users. The award-winning app has significantly improved both pregnancy check-up attendance and vaccination turnouts, with an ultimate goal to see a world free of preventable maternal and infant deaths. Alice Laugher is the CEO of Committed to Good (CTG), which provides employment and logistics services to development and relief programmes in fragile and conflict-affected countries. From running Ebola treatment clinics in Liberia to food distribution in Afghanistan and South Sudan, monitoring and assisting refugees in Libya, and rebuilding government constitution in Somalia, the work of CTG is as diverse as our world’s issues. British-born, Ms Laugher is a vocal advocate for the Sustainable Development Agenda, with a particular focus on gender equality. She is passionate about CTG being a force for good and creating economic opportunities for women in war-torn regions. 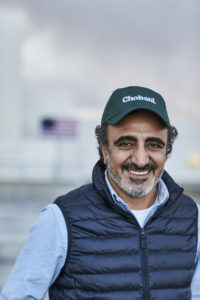 Hamdi Ulukaya is the Founder and CEO of Chobani, the company behind the number one Greek yoghurt in America. Today, Chobani has over 2,000 employees in the United States, 30% of which are legally resettled immigrants and refugees. Mr Ulukaya has created a corporate culture in which everyone is welcome and has an opportunity to thrive; with innovative profit-sharing and parental leave programmes. He has also taken a leadership role in the global business community to encourage action from the private sector to tackle the global refugee crisis. Currently in its 10th year, the Award boasts an impressive roster of laureates, including Sarah Beydoun, the Founder and Creative Director of Sarah’s Bag; Sir Richard Branson, the Founder of Virgin Group; and Paul Polman, ICC Chair and former CEO of Unilever. Watch the announcement of the 2019 Oslo Business for Peace Awards from Pixel Perfect on Vimeo. The International Chamber of Commerce (ICC) and local chambers of commerce assist in the global nomination process for the Business for Peace Award by searching for outstanding business people who have been able to achieve business success while acting in an ethically responsible way.